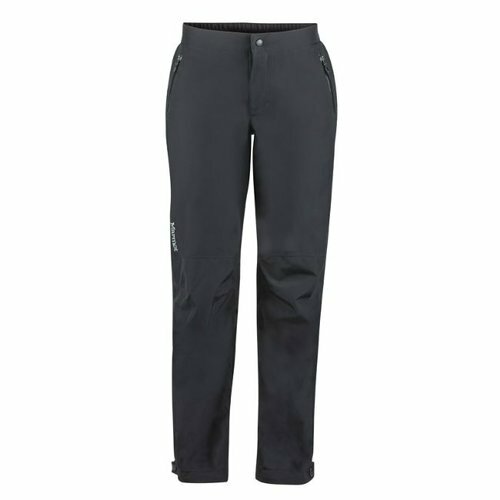 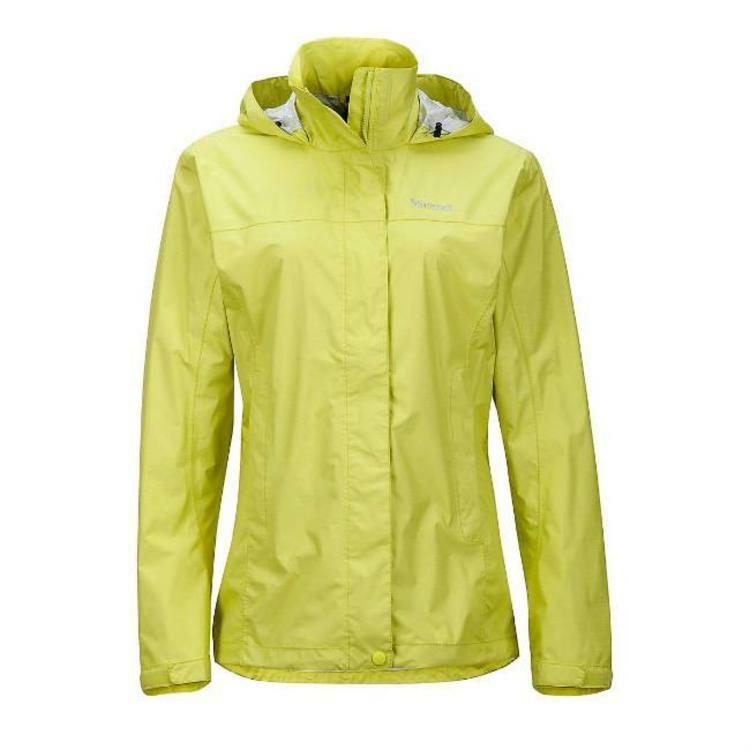 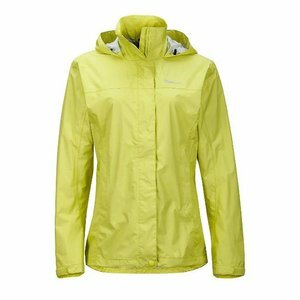 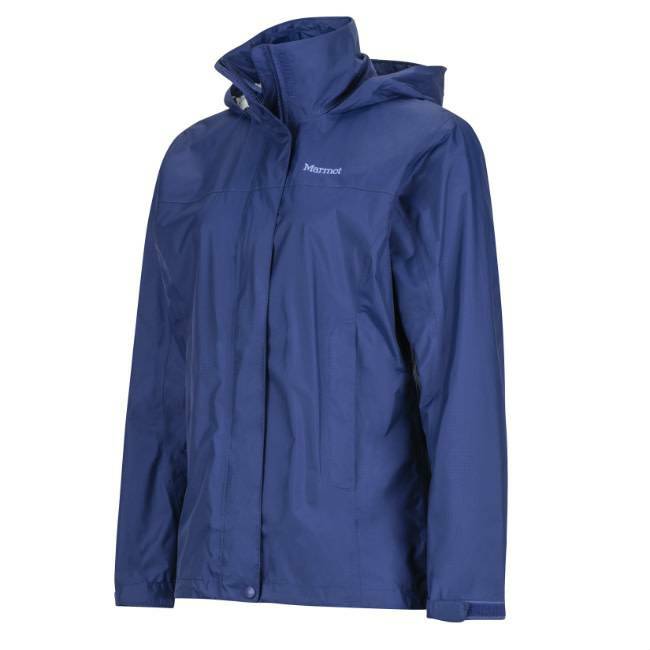 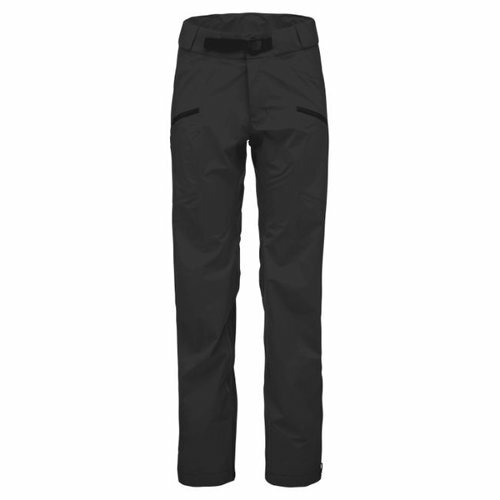 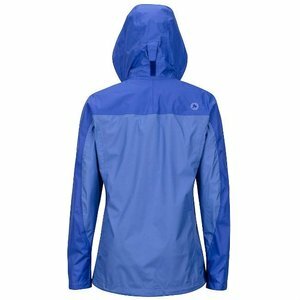 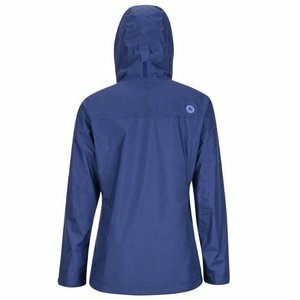 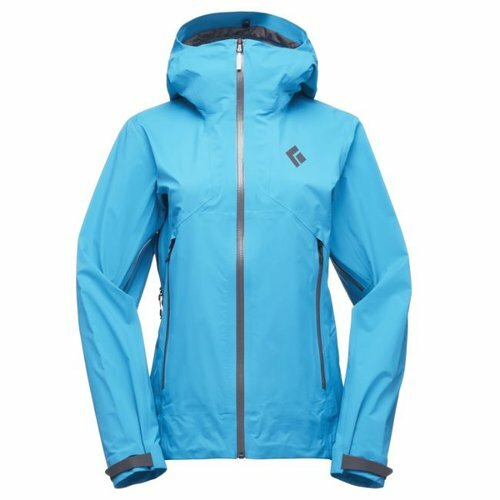 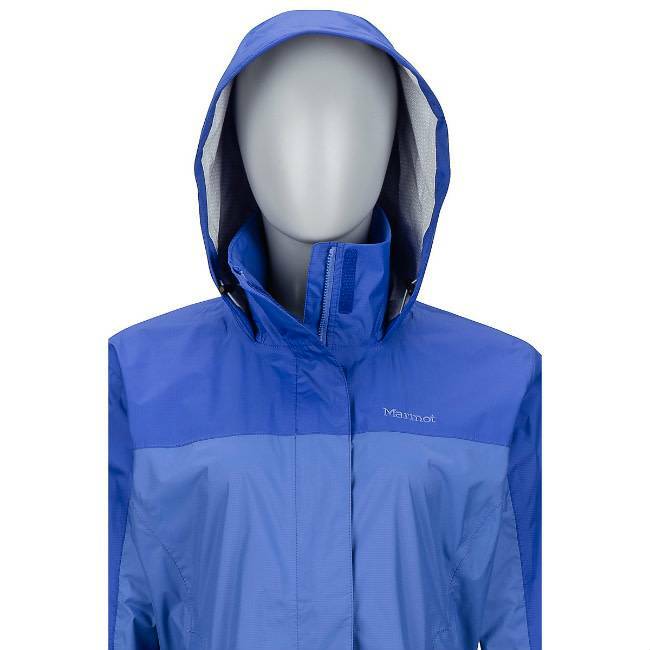 The Marmot® PreCip Jacket for women packs a lot of punch for its price range. 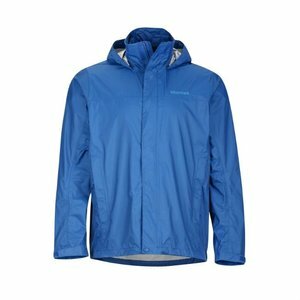 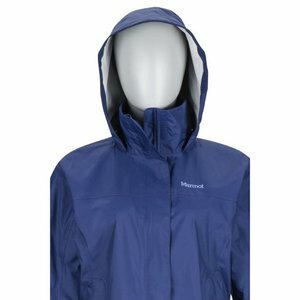 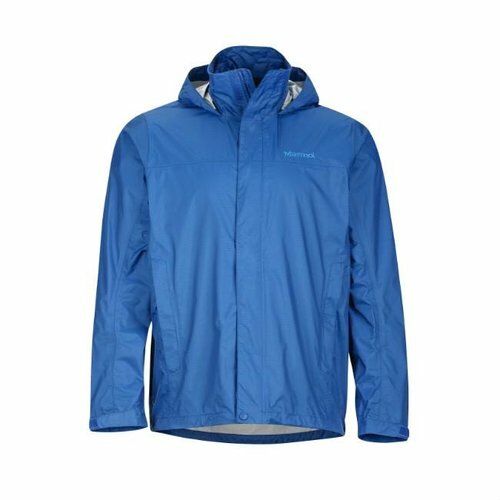 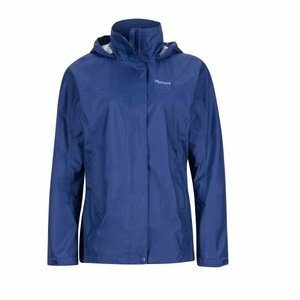 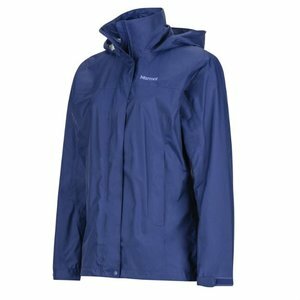 The Marmot® PreCip Jacket is made using Marmot's own NanoPro™ Waterproof/Breathable Fabric with 100% taped seams, the PreCip rain shell manages to squeeze lots of features into the tiny price tag. The helmet compatible hood on the Marmot® PreCip Jacket is adjusted at the front by drawcords and at the rear by Velcro®. 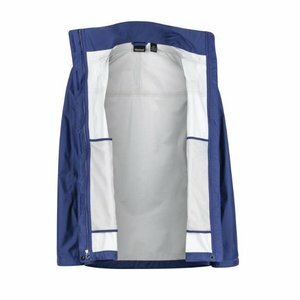 When not in use, it can be rolled into the collar. 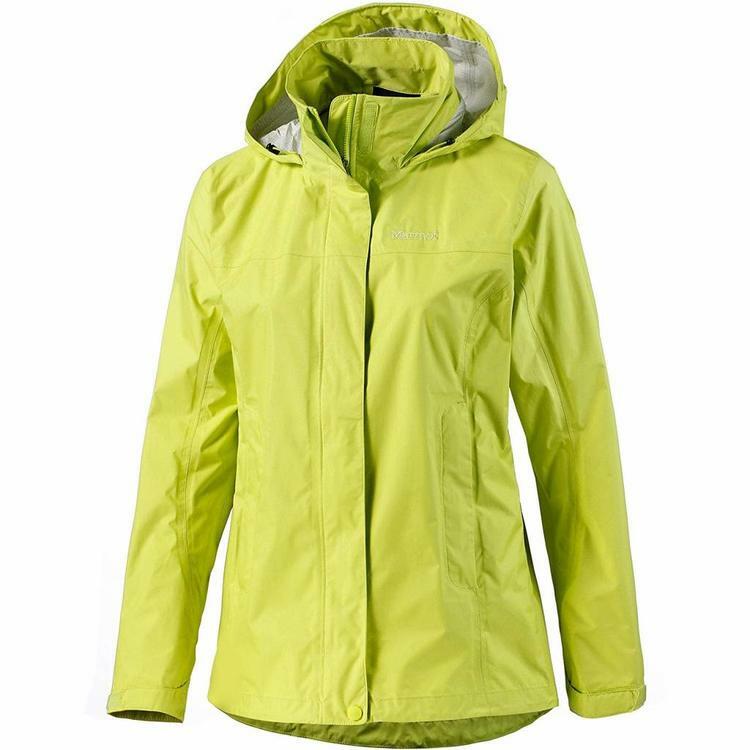 The chin guard is lined with DriClime® so it feels soft against the sensitive skin of your face. Pit zips also allow for greater ventilation. Perfect on those muggy, wet days we get a lot of in Ireland and the UK. 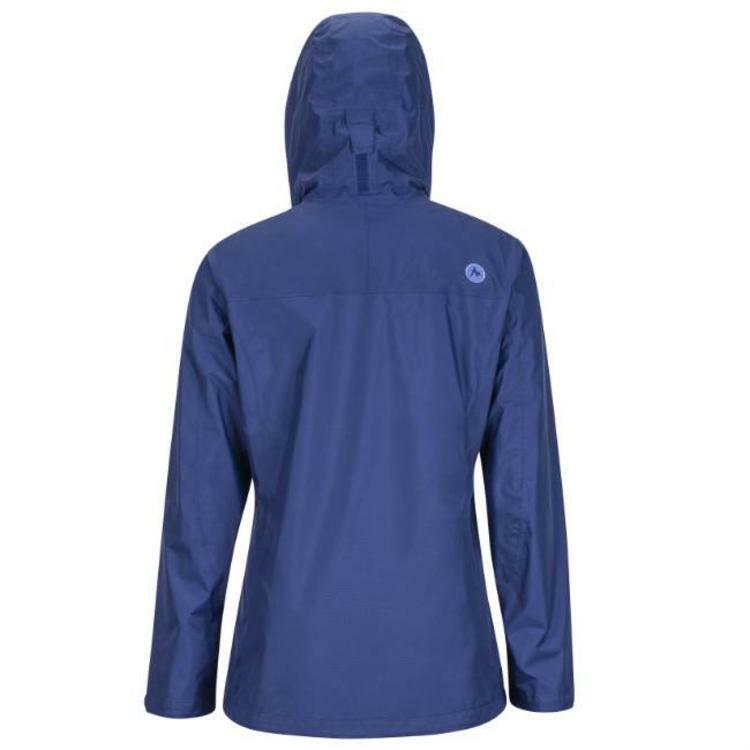 Cut to fit the female body, you'll actually have a waistline with this rain shell! 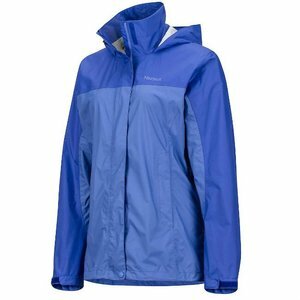 An elastic drawcord at the hem cinches the jacket in neatly too.